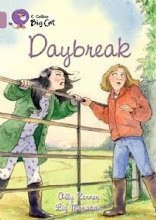 Had a great time at HAY on a hot, hot day talking with Julia Eccleshare about SPARKS. Was lovely to meet you all, but shame about those fire alarms. 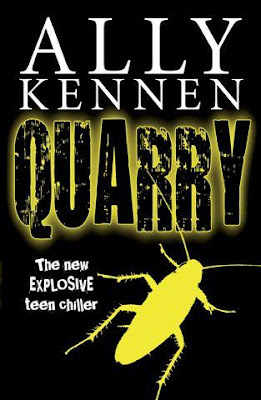 Funnily enough, my new book Quarry, features a school evacuation, (though only the once in a twenty minute period) and this is not due to high jinks of departing six formers, but because of a cockroach infestation, yeuch! But what of your books? 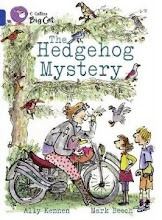 What will happen to Sky the wolf, Bramble the cat and Ned the 84 year old castaway, plagued by giant snails?? What of Mr Bubble and the 'Thing?' What of Dave, the boy who couldn't sleep? What of Carrie, does she still rot in the compost? What of Jez and Jeremy? What does Ebony, the 18 year old assassin get up to? We were cut off in our prime were we not? Do post any questions below and I'll reply extra quick. if you want to upload your paragraphs here, I'd love to see them... Ally K.
If someone told you to jump over a cliff, why would you do it?